Again, the Nordic peoples, and especially the Swedes, amaze us. We knew they enjoy bathing in cold waters in the middle of winter. We also knew that they love saunas. The rest of the story is logical. 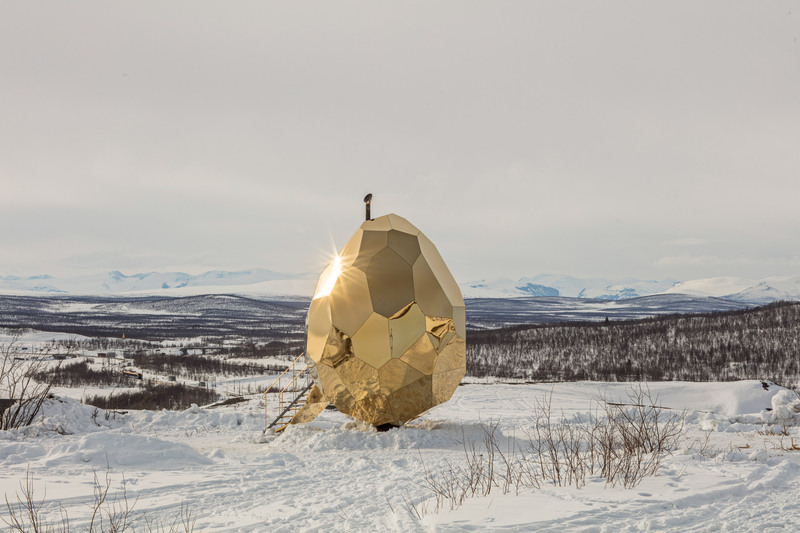 They decided to build on the snow a kind of golden egg that contains … a sauna! 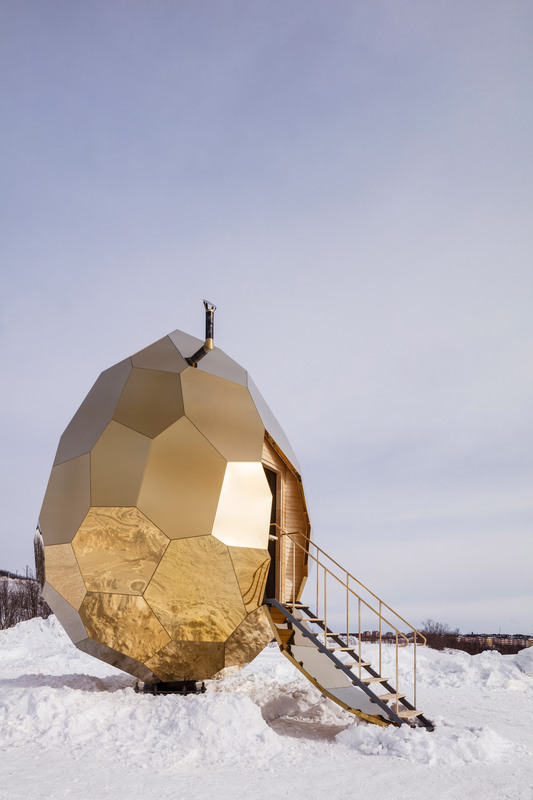 And not just any sauna. 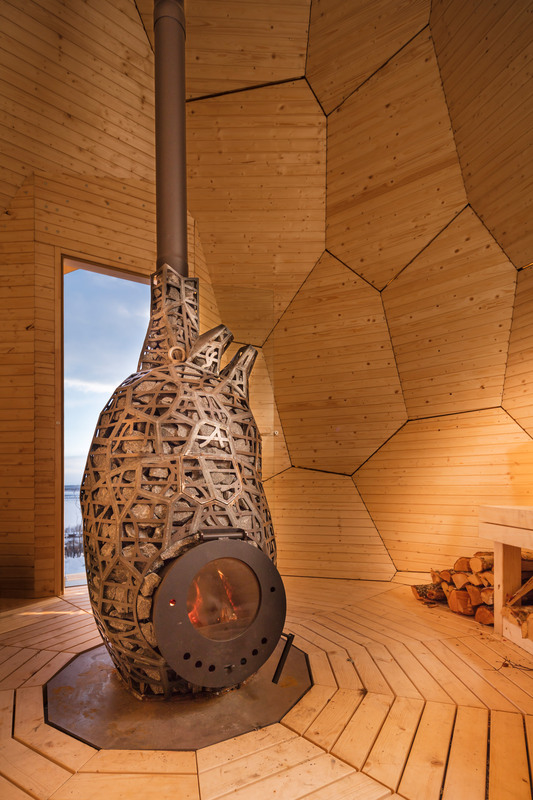 A sauna that contains a wood stove, wood in reserve and an internal wooden lining as in a classic sauna. The copper pans are there to create a moist, and traditional wooden benches. Magnificent ! 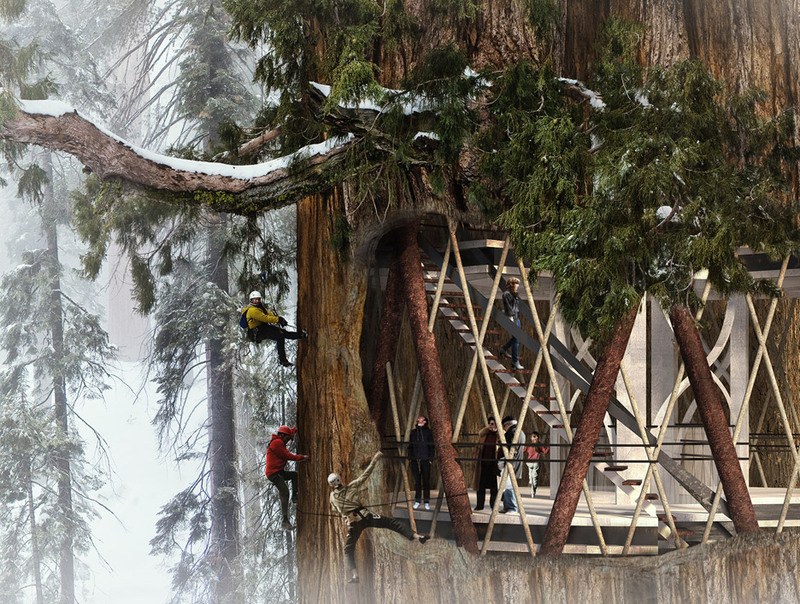 For those who have never seen sequoias, the rest of this article will seem strange. 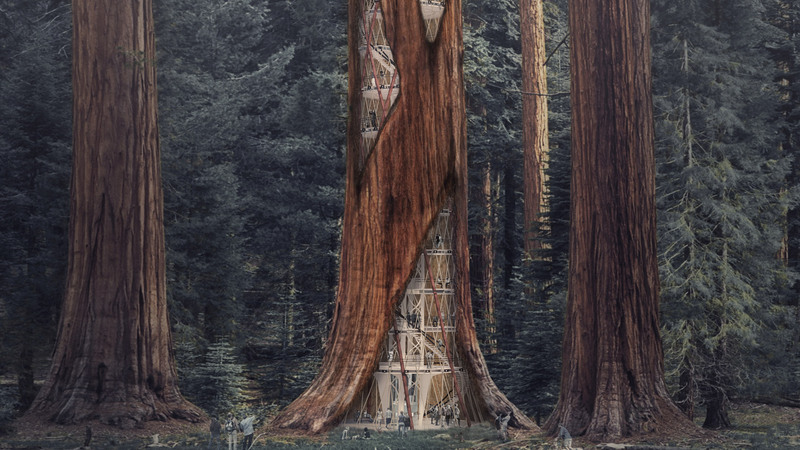 When you approach a sequoia forest, you get the impression that everything is normal. And as we get closer, we see that things are weird. And once inside, surprise: Suddenly, one has the impression to have become a dwarf in the land of giants. 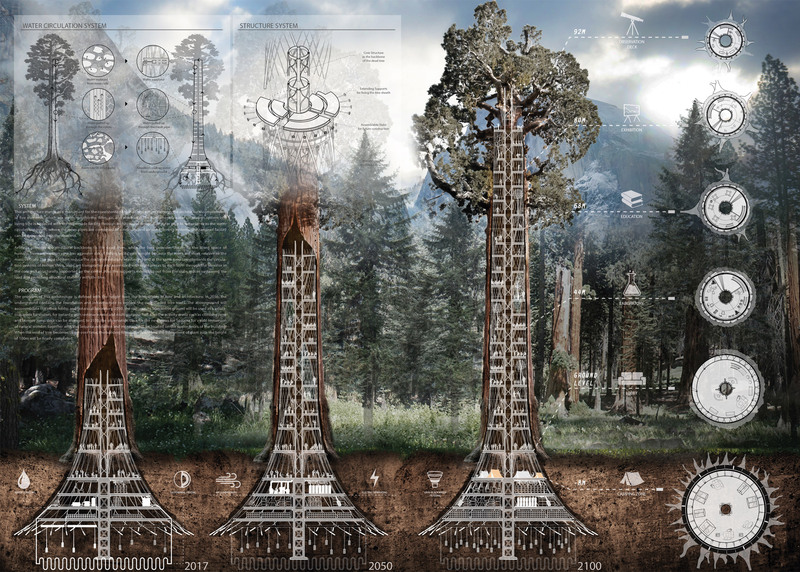 It is at this moment that one can understand this project of making dwellings inside the trunks of trees. Of course, the internal structure will be strengthened and a base will be buried. And openings will be made in the trunk. We have an image of Japan in two parts: One is modern, with advanced technologies like electronics and robots, and the other very traditional with houses of wood and paper, and gueishas circulating from a room to the other in silence. Here, this is a completely different picture. Here is a bar that was made with waste. Look at the result and you will not have the same look on waste. 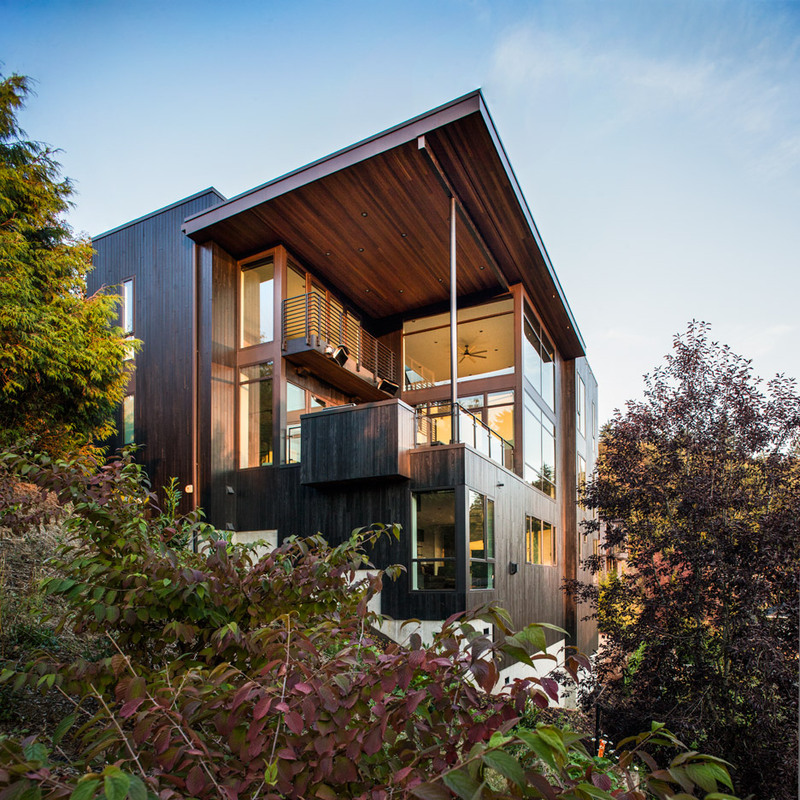 This home is located in Eugene, Oregon, USA. See how it is embedded in the forest. It is on two floors to take advantage of all possible light. The windows are large and significant number. The fireplace, with modern wooden decor, interesting way of occupying part of the windowless wall. Lighting included in the ceiling enhance the brightness impression. Windows are often very classic. And it is going to the South found a little more special windows, simply because you need protection from the sun. Based on this finding, the architects designed a window inspired by the Iranian traditions, a mix of wood and stained glass to better manage the external light. The result is wonderful. We have perforated shutters that allow you to filter the daylight, wooden slats on the walls, and plants in wooden boxes. 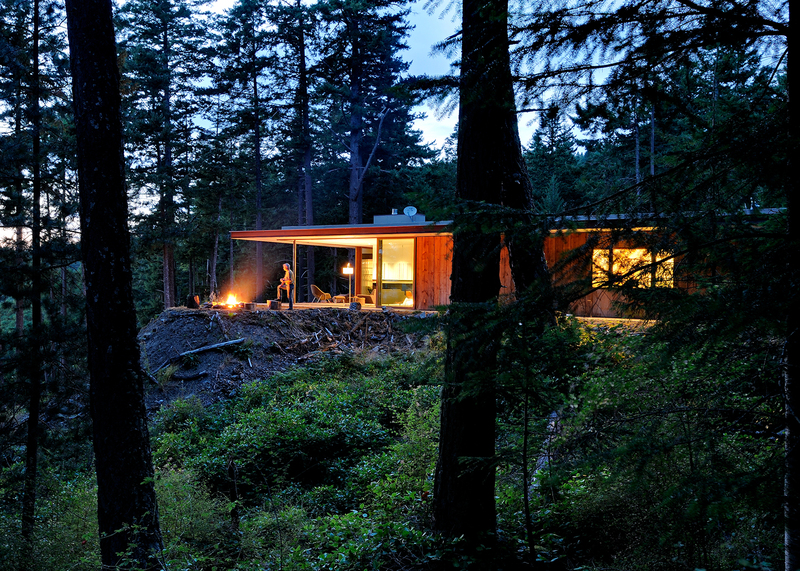 The state of Washington contains nuggets, beautiful houses that we must learn to find. Sometimes you look for concrete hidden among the rocks, or other at the bottom of a canyon. 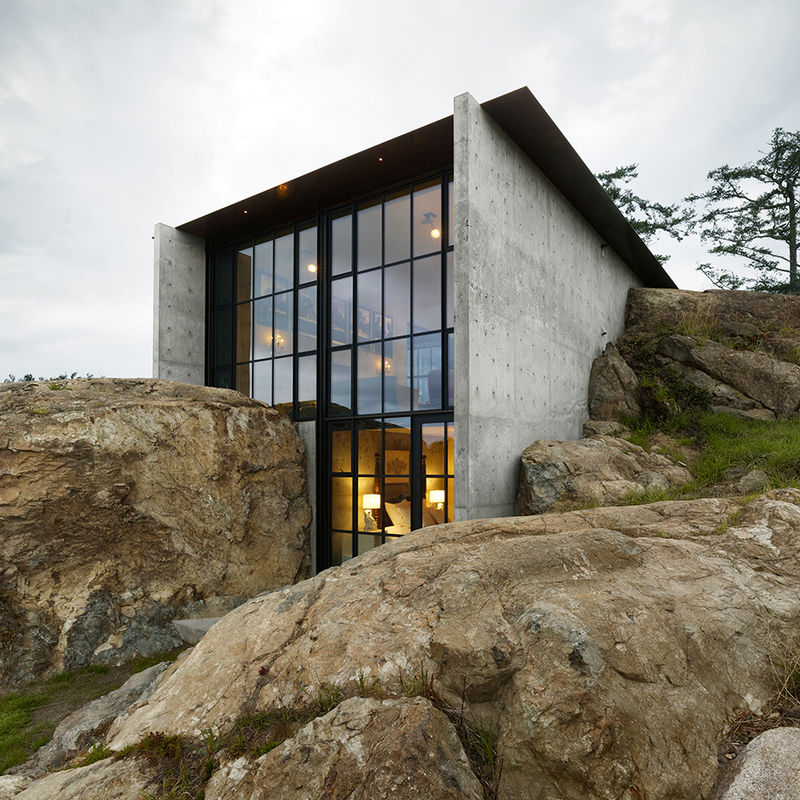 This house in the rocks, had to dynamite, shredding, sawing order to install it. 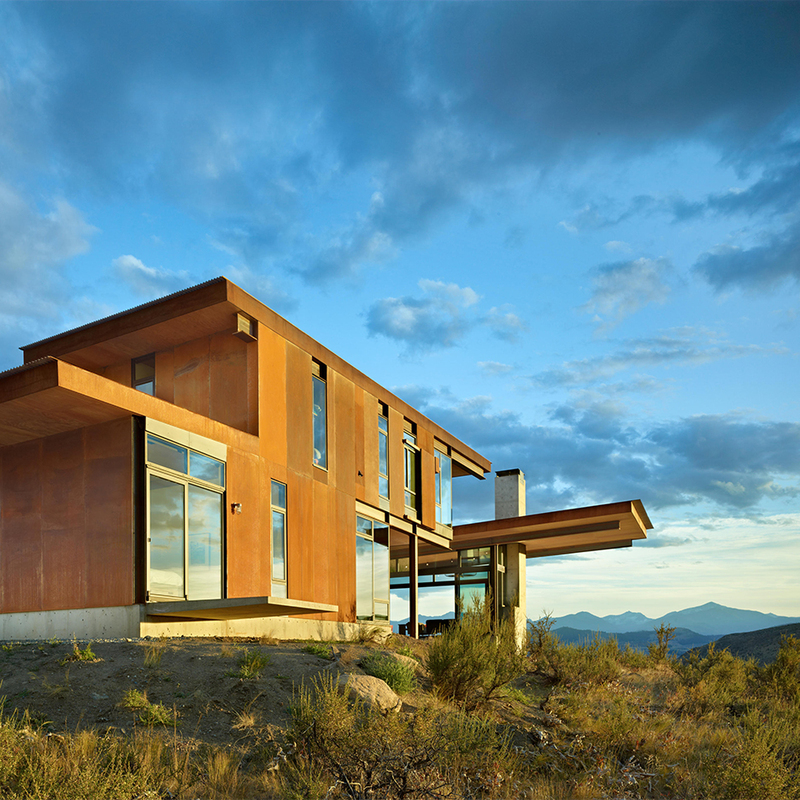 In another house, there was no hesitation to recover from the rusty metal and wood to rebuild an old barn. Come to Washington to discover these wonders. Do you know the Oregon? 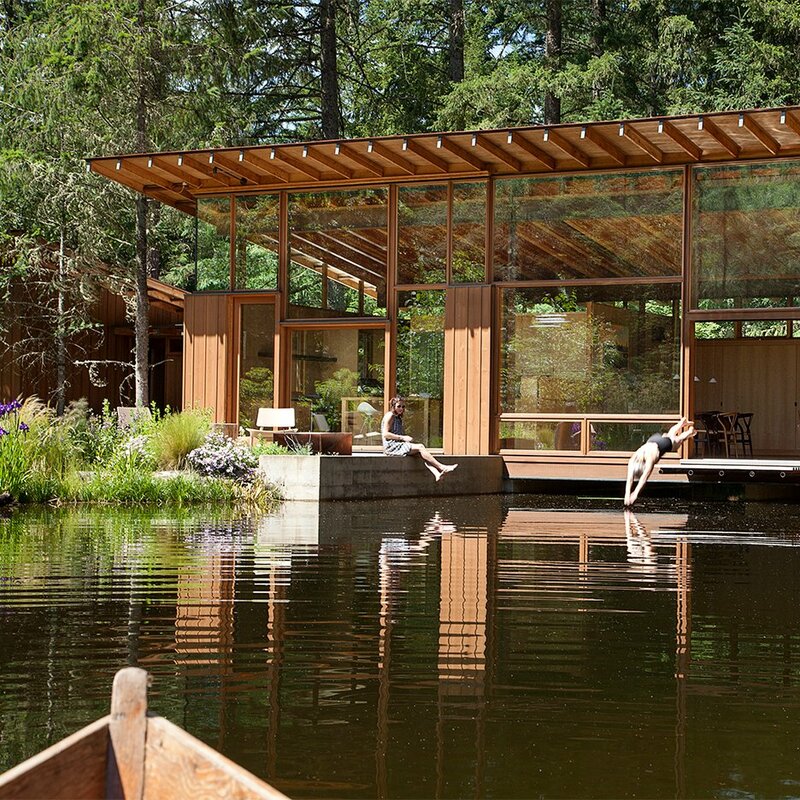 You can find a beautiful house overlooking a pond or a studio hidden in a warehouse. Sometimes you cross a bridge to reach these homes that may contain a space in which musicians can practice. as you can see there houses on pillars, glass in pure transparency. Skylights sometimes cross truss roofs, and steel can rub the wood. The kitchen is a favorite place for many of us. 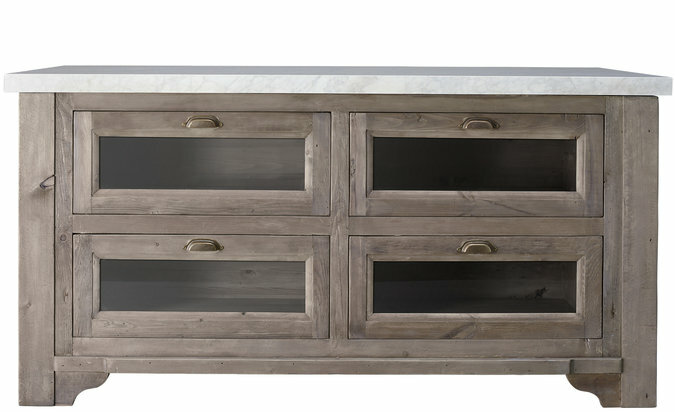 The kitchen today includes several ways of seeing, and the island is the central point. 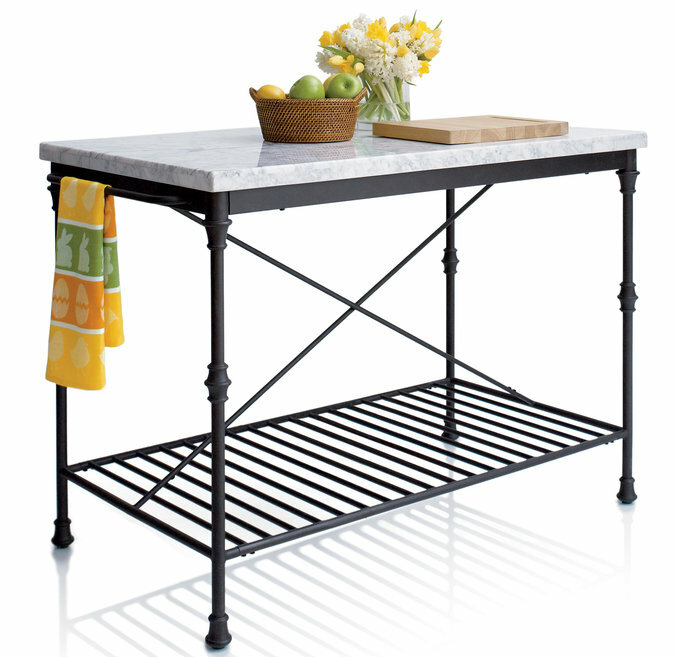 If you do not have that kind of accessory, no problem, you can purchase a table that fulfill the same function. The first rule: you have to have three feet sides. The height should be 30 to 38 inches. 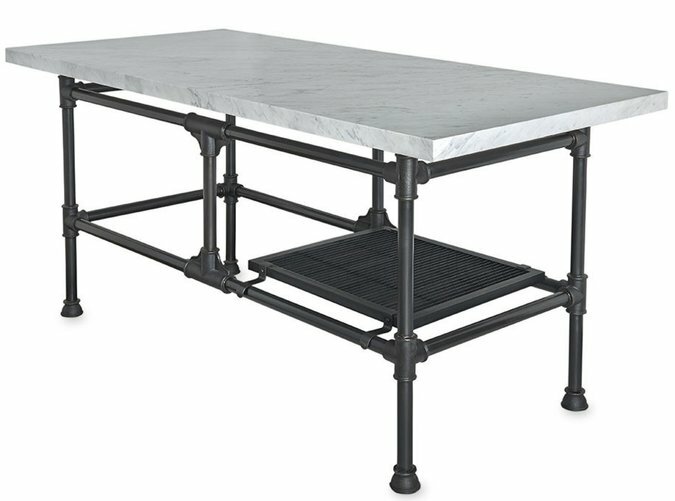 The table can be marble, the black metal feet. 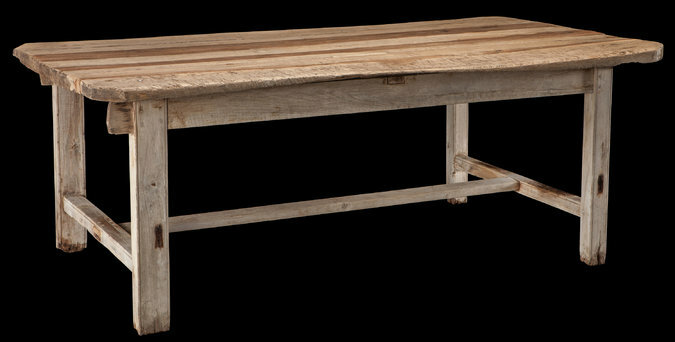 Other tables will resume the wood design.